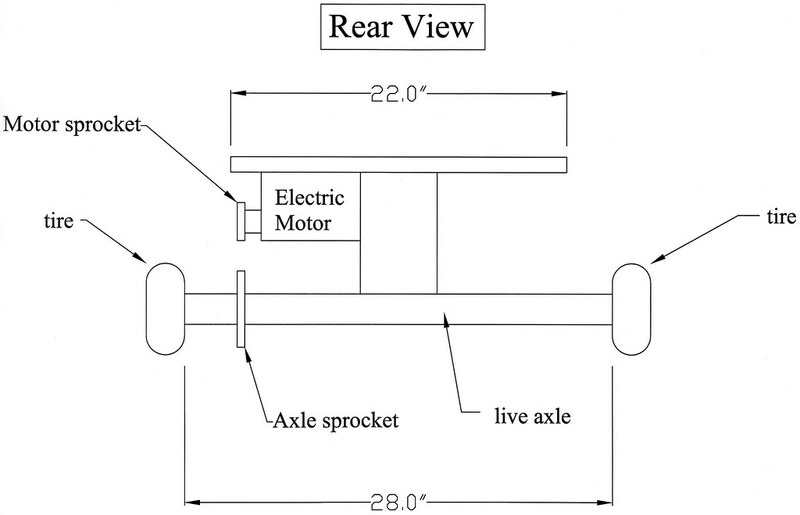 This project consists of designing a motorized scooter board where the user lies flat on their stomach and steering is controlled by a weight shift on the elbows. We met with Melissa Draper for the motorized scooter board project. This device will be used by numerous disabled children, but needs to be designed to the specs of one child in particular. We did not get to meet with him as he was absent but we got to sit in on a child who was similar to him in condition. They have impaired strength in their shoulders, thus the whole motivation behind this scooterboard is to help with the children’s sensory impairment and to build up strength in their upper body. The scooter needs to support around 60 lbs. It needs to be around 5 feet long and at least 16 inches wide. The scooter needs to have some type of harness to secure the child on the device because of their lack of upper body strength to hold them on the scooter. Mrs. Draper requested that the therapist have control of the speed of the scooter rather than the children. It needs to be designed so that the child’s weight shift on his elbows controls the steering ideally while laying flat on their stomach. The child we set in could apply approximately 40 lbs through his elbow on a weight shift. It needs to be low speed for the safety of the children. The scooter board should be about 5 ft long and at least 16 inches wide. It needs to be able to hold a capacity of about 60 lbs. It needs to be designed so that the forearms are to be parallel to each other. Safety is of paramount importance since the children are unable to protect themselves from falls. A small electric motor would suffice for the low speeds in which the therapists desire it to travel. The turning radius needs to be such that the children can maneuver through cones and different courses. The wheel base should be wide for the safety of the children. Ideally the motor would be able to be controlled with a remote. We have developed three different designs for this project. 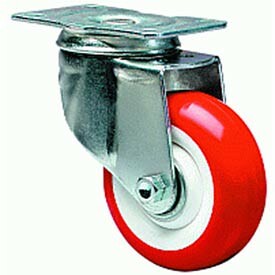 The first is motivated by the design of a toy known as the Rip Stik, which is similar to a skateboard but uses caster wheels and a center pivot instead of trucks. The second design utilizes a mechanical lever and pulley system controlled by the elbows. The third uses force sensing pads to drive an actuator to control the steering. 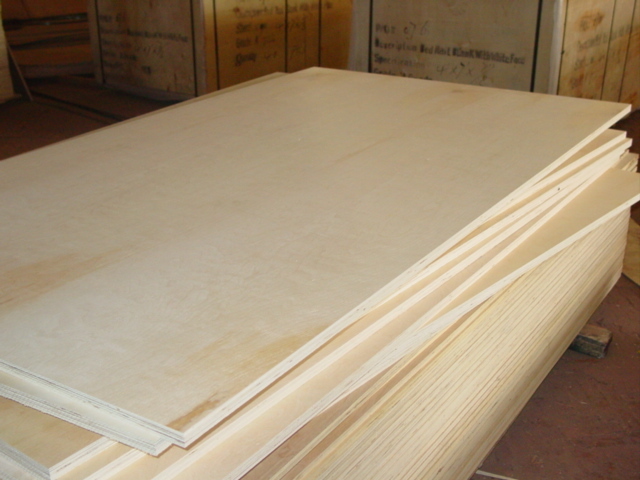 All are three wheeled, flat board designs (one in front, two in back). All use a rear-wheel drive chassis powered by a small electric motor, which would be controlled by the therapist either remotely or through a tethered control box. This design is inspired by the Rip Stik, which is a type of skateboard that uses caster wheels in conjunction with an axially twisting board. 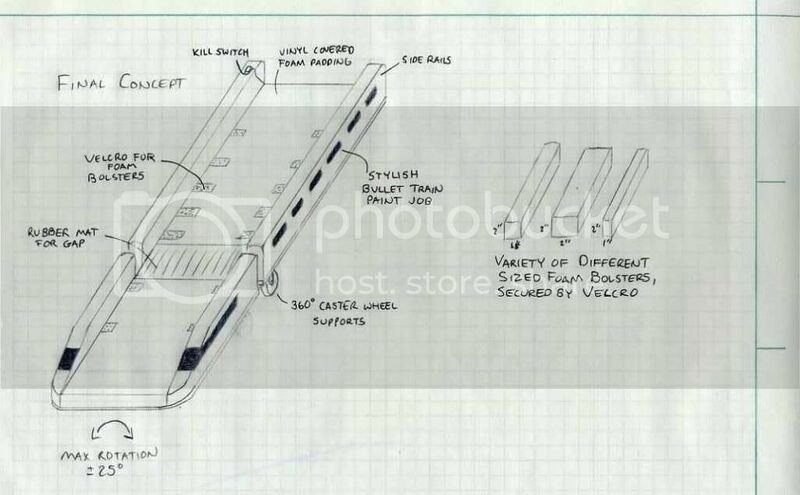 These images show our inspiration, the Rip Stik, followed by a hand drawn picture of our design, then by a top and rear view drawing rendered in AutoCAD. 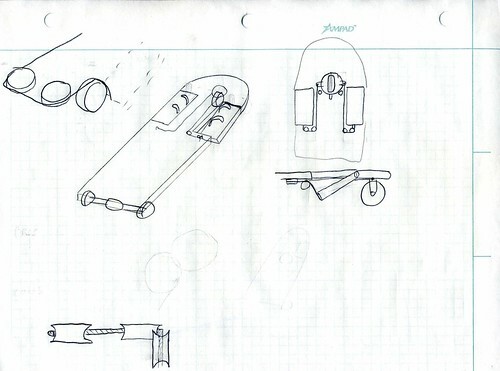 This scooter will be powered by an electric motor with a chain and two sprockets to drive the rear wheels, and is steered by shifting one's weight to twist the front half of the board and thus turn the caster wheel. This is a hand drawn design of a different concept. Unlike the first, it uses a single flat piece for the board, instead utilizing a mechanical system of levers and pulleys for steering. Pushing on the levers with the elbows turns the board. 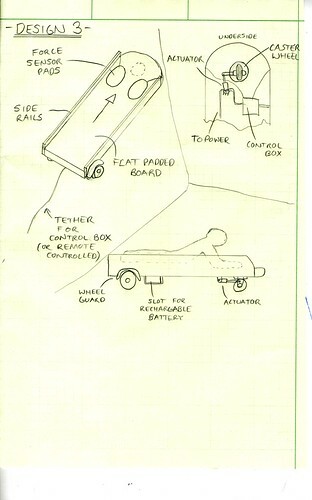 Our third design utilizes a single flat board as well, but instead force sensors are used to measure the child's input. These sensors then drive an actuator to turn the front wheel. 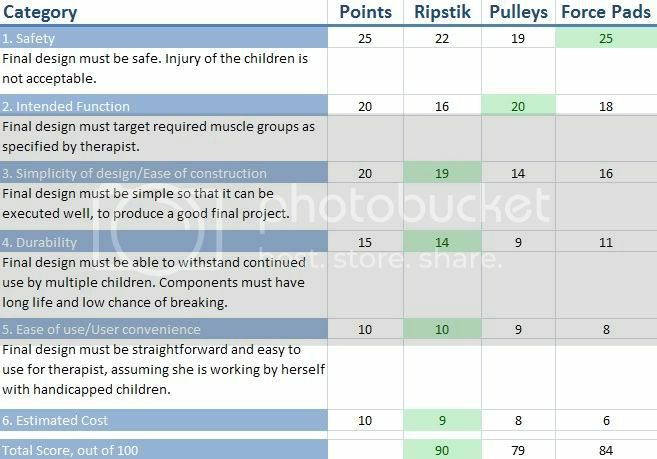 For our final design decision, we made a chart and graded our three designs based off of parameters we deemed important for the design. 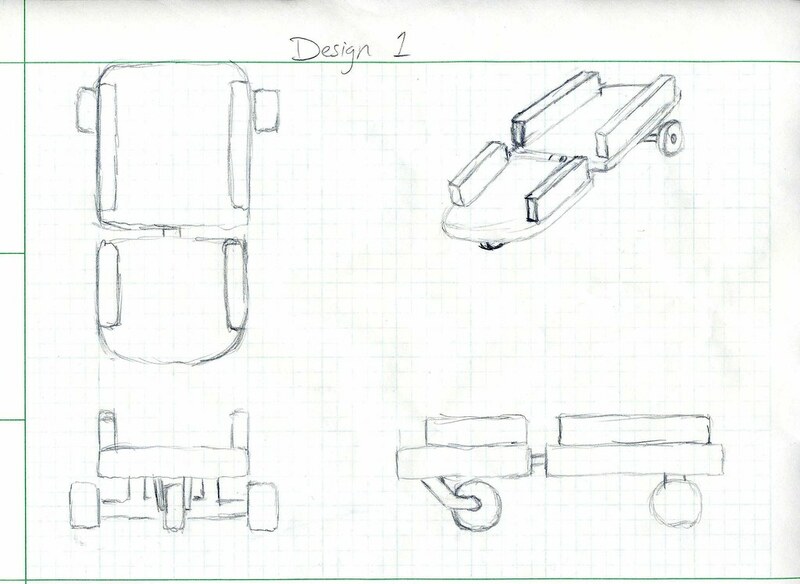 Our final design is an optimization of our first design based off of the Ripstik. 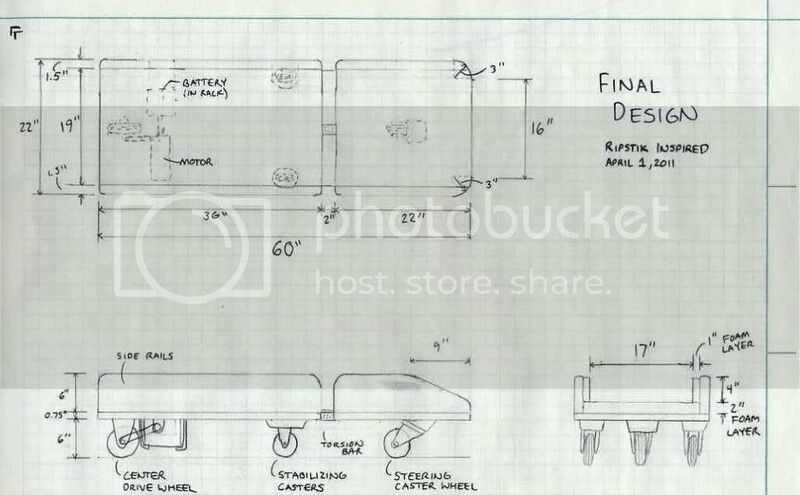 It is the simplest design out of the three, and has the potential to produce the best final product before the delivery deadline. 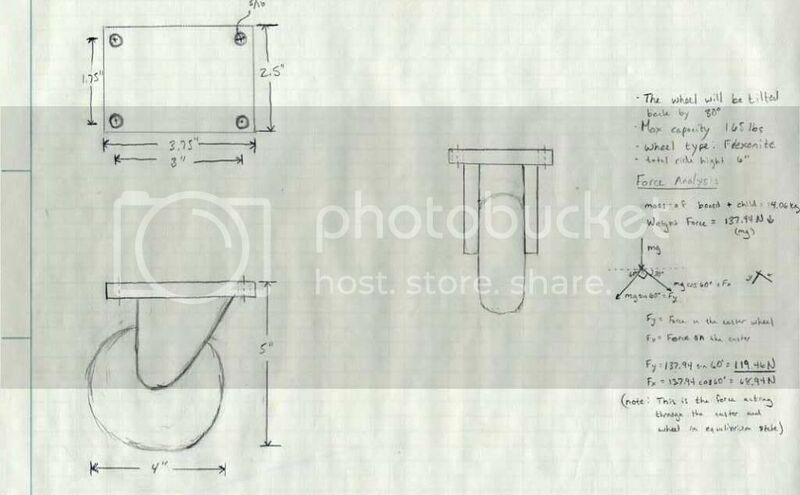 What is shown here is the core of the overall design; this is the minimum we have set for the design in order to ensure delivery of a finished product on time. There are additional modifications and special features we would like to include if possible, and we would appreciate any input you can provide on how to implement these features. Motor analysis. 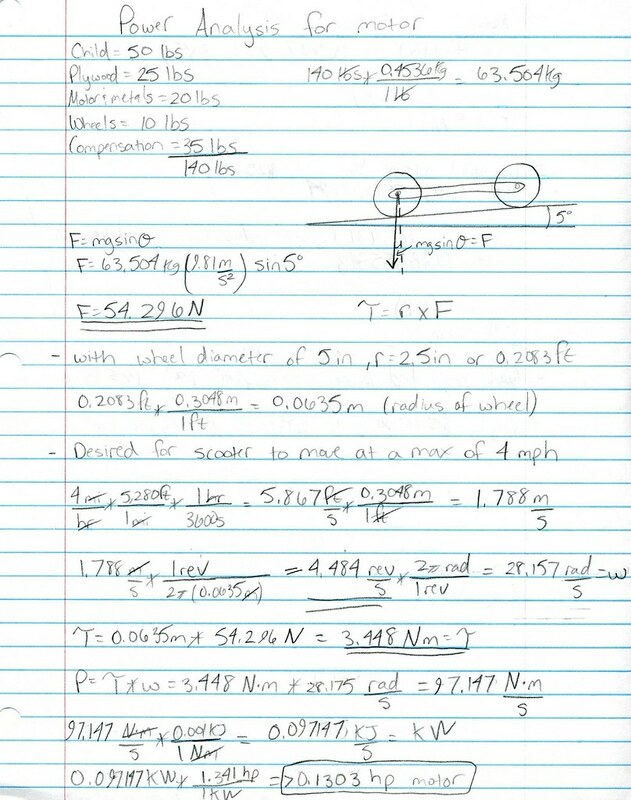 With a desired maximum speed of 4mph, our calculations show we need a 0.1303 hp motor to power the scooter. We found a suitable motor for our purposes, but did not realize that it was an air motor until 2 hours ago. 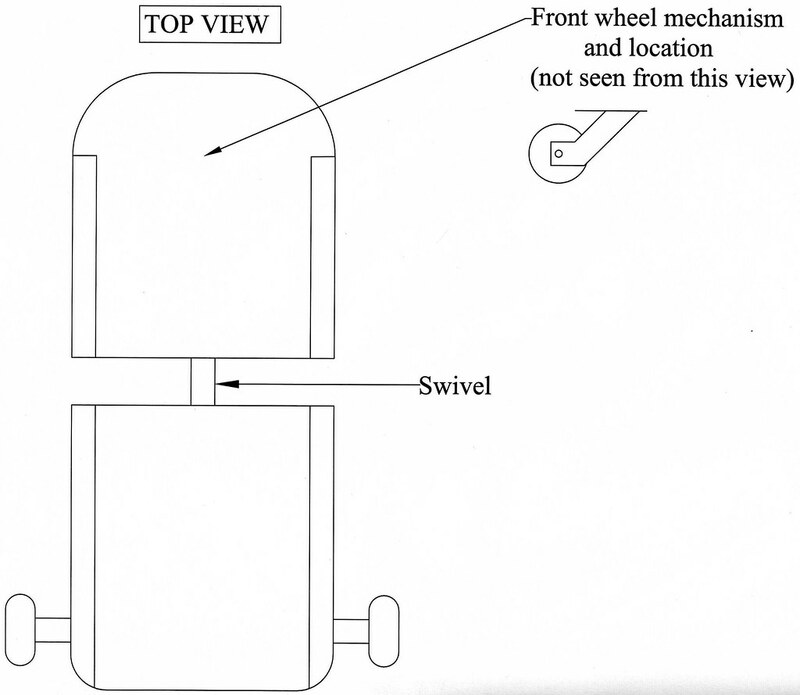 Front caster wheel assembly simple force analysis. 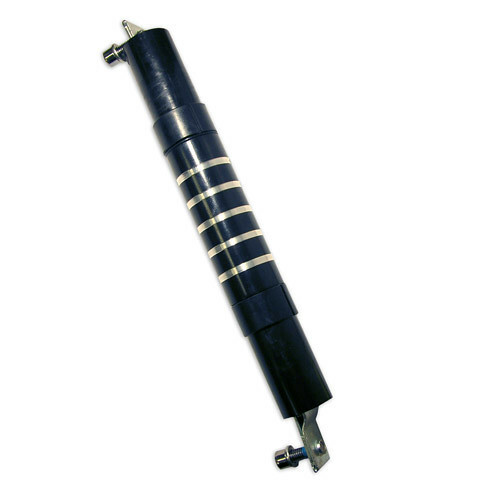 Torsion spring analysis. 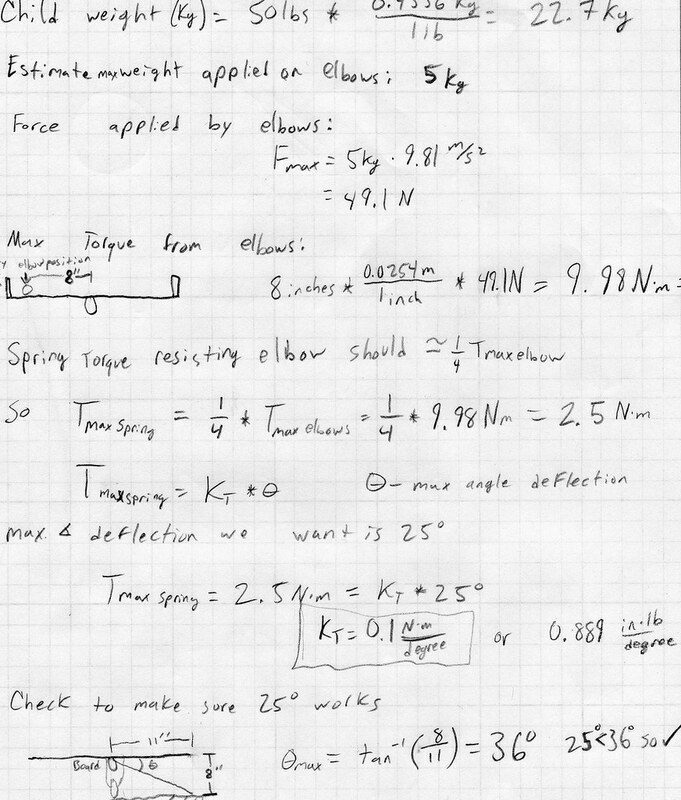 We calculated a spring constant for the torsion spring in the event we decided to fabricate the support bar ourselves. Our design currently calls for an off the shelf replacement Ripstik torsion bar for ease. We had chosen a motor for our design based off of our calculations in the analysis, but we did not realize that it was an air motor until much later. We have decided to adapt the motor/gearbox combination out of a Power Wheels Jeep to drive our board. *All items found online for ease of ordering. Shipping prices/sales tax are not accounted for in estimate. Walmart and Lowe's offer free shipping for in-store pickup.